Log Period and Areas of Service: 1966-74, Arctic, Alaskan waters, Antarctica, points in between. 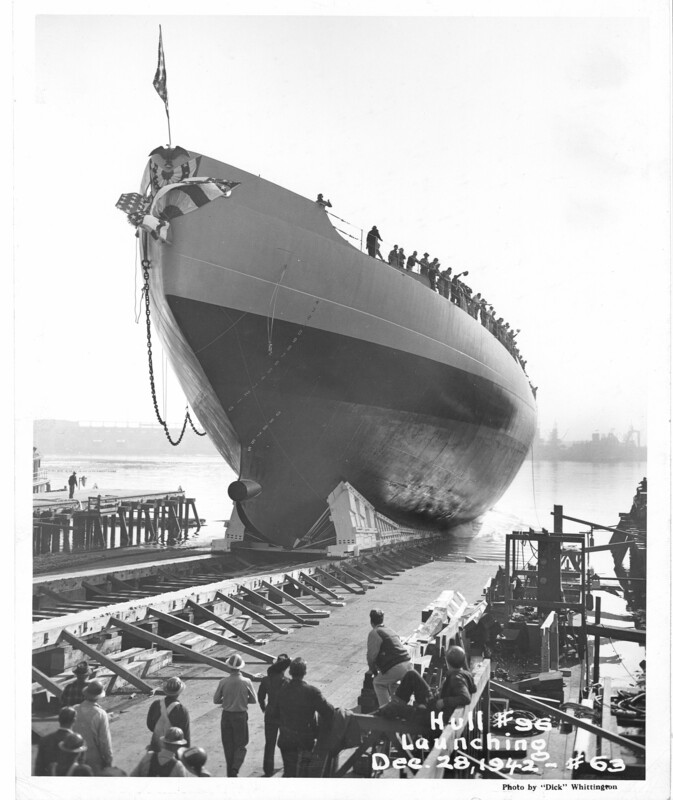 31 January 1952 – Returned to the US and commissioned as USS Northwind. Her name was changed to USS Staten Island to avoid confusion with the Coast Guard ship Northwind. She participated in operations and expeditions in the Arctic and Antarctic until early 1966. 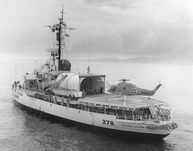 1 February 1966 – Placed out of commission by the USN, and recommissioned with the Coast Guard as USCGC Staten Island (W-AGB-278), home-ported at Seattle. She underwent modifications there. 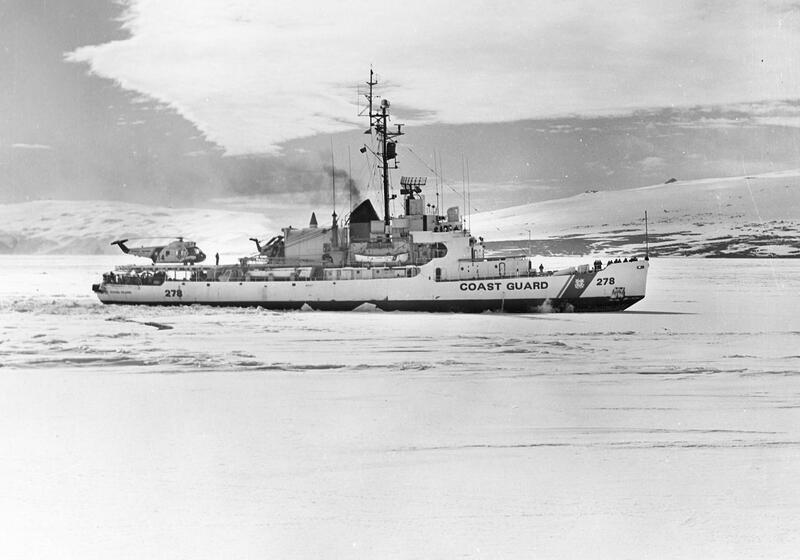 22 September 1966 – Participated in Operation Deep Freeze. 1967 and 1968 – Served in Alaskan waters and the Bering Sea. 1969 – Traveled around the North American continent, through the Northwest passage and down to the Panama canal and back up to Seattle. 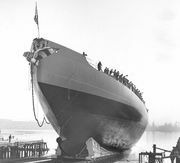 28 February 1971 – She struck an uncharted pinnacle and suffered significant damage, including a punctured hull; with temporary repairs done at Tasmania, she returned to Seattle escorted by USCGC Burton Island. 1972 to 1973 – Served in Alaskan waters and the Bering Sea. 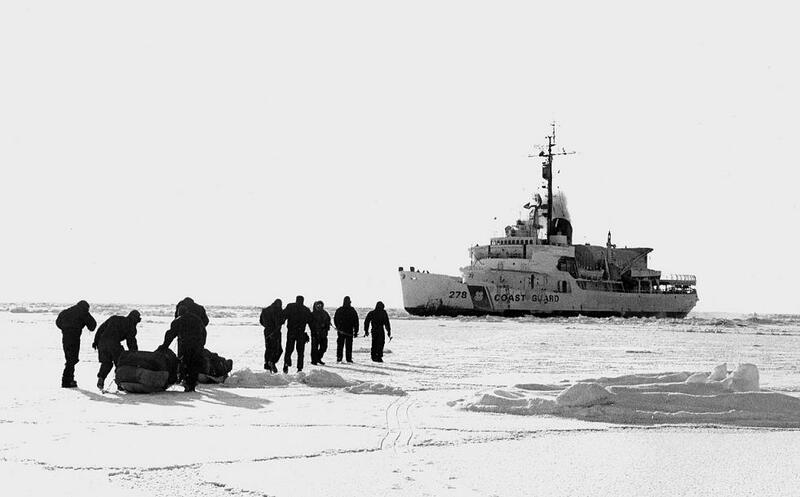 1974 – Participated in Operation Deep Freeze. 15 November 1974 – Decommissioned.